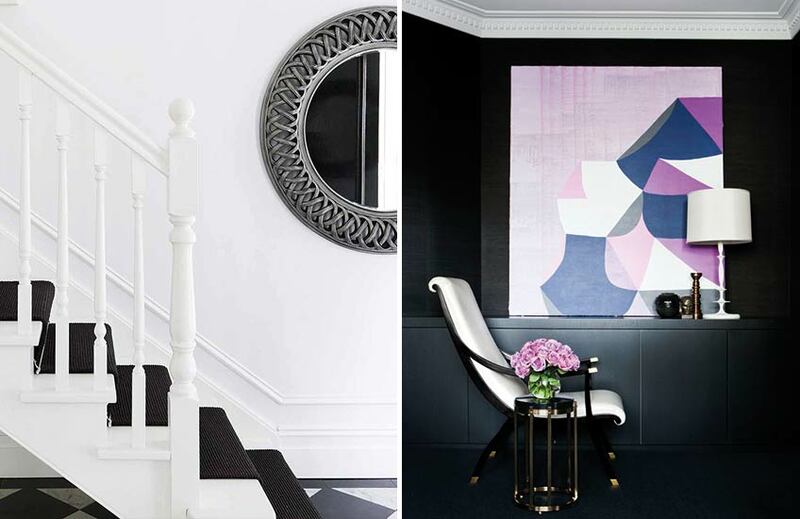 Black and white room interiors – that trend-surpassing colour palette – is back on the design radar this season but, this time, it’s edgier than ever. 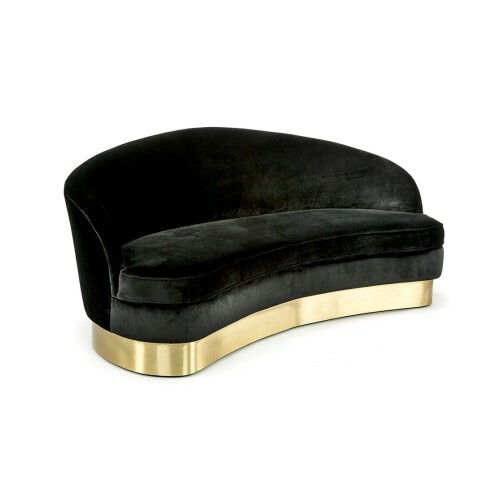 From daring upholstery choices to equally powerful accents and from contemporary silhouettes to updated classics, the contrasting duo isn’t for the faint of heart. 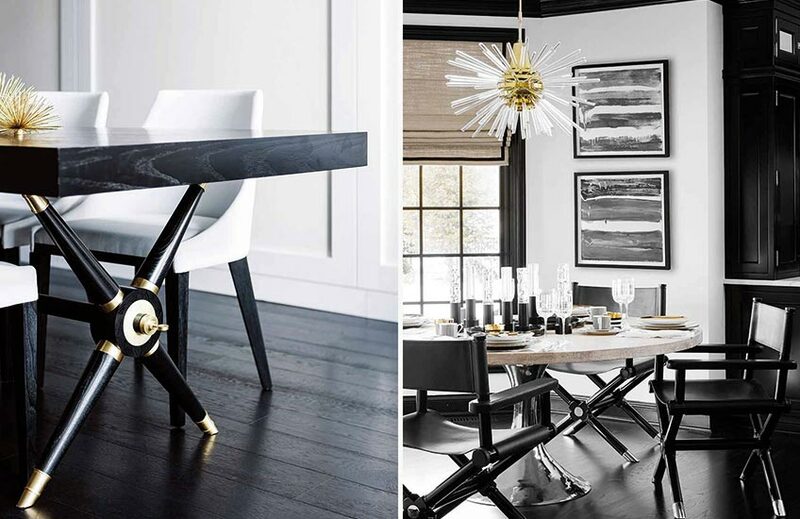 Plunge into a world of high-impact style and take inspiration from these black and white rooms, starting with this Megan Winters dining room (and our Refined Monochrome collection) for an edgy yet timeless aesthetic. The whole idea of entertaining and the dinner party tradition is steeped in making an impression including, yes, sometimes a little drama. Make a chic statement by a pairing dark table with pure white dining chairs and graphic black-on-white tableware. A refreshing duo by day and sharp like a tailored tuxedo by night, the monochrome bedroom is reminiscent of life’s more glamorous moments. Contrasting cupboard or shelving unit interiors also works well as does white tile flooring decorated with punctuations of black. With their shared history of chequered flooring and grand glossy doors, the hallway and monochrome are made for each other. Fresh and sophisticated, the look is equally at home in a modern apartment or in a grand country home – a feat that very few other colour duos could replicate. Treat your staircase with carpeting in the contrasting colour. Dark wood stairs look spectacular when dressed with white runners and white painted staircases, like the one above, with black. 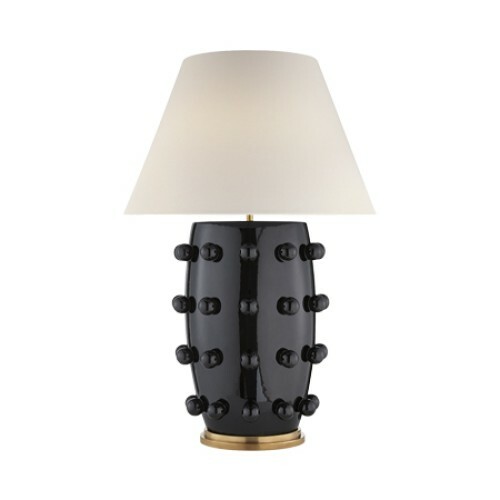 Contrast ebony woods with pale neutral upholstery and paint any cornicing or woodwork pure white. You might want to consider a striped wallpaper (perfect for vestibules) or painting your door black. Future-proof your main room with a black and white combination which will allow you to accessorise with on-trend accents. The result? 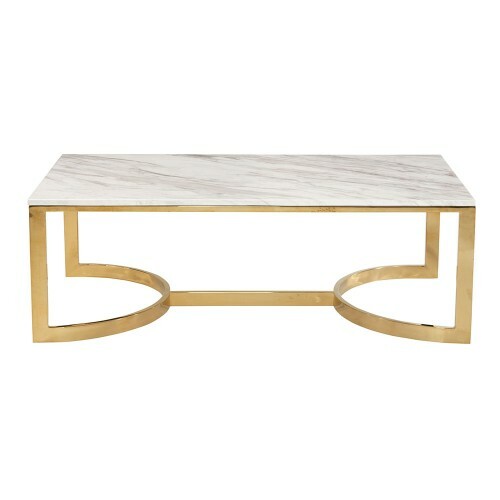 A timeless scheme which also lends well to fashionable aesthetics as the seasons roll on. A pure white sofa might be slightly intimidating but a carefully chosen monochrome upholstery fabric, white walls and combination accents are great ways to channel the look. Keep staple pieces, such as the sofa, one colour (black is the smartest move) and accessorise with monochrome cushions (in striped, animal print, brushstroke or geometric varieties) which add a playful element. 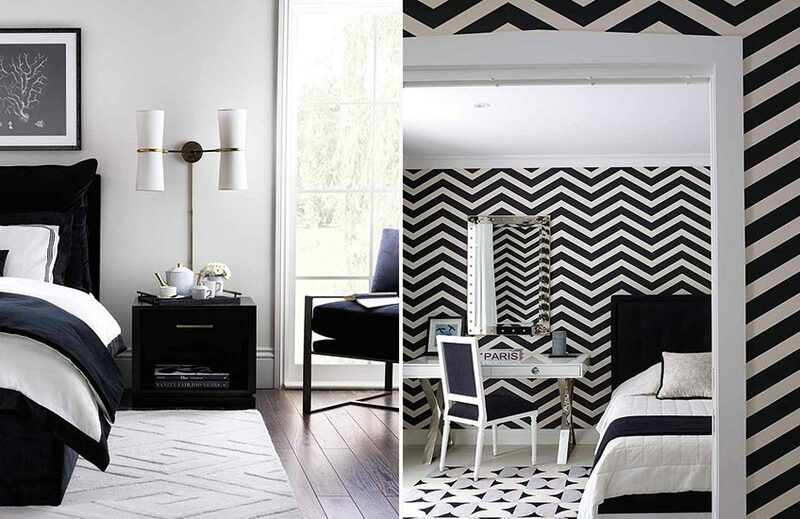 If you plan to go all out (à la this chevron-clad Greg Natale-designed bedroom) keep bedding and flooring white; a lighter palette can handle darker furniture and avant garde patterns. Adding darker pieces (artwork and occasional furniture) to a white space is a soft way to approach the look and retains a room’s natural light. A monochrome palette makes a classy choice for a library or study space. Reminiscent of black words on a white page, the palette is handsome, rich and adds an edge to what could potentially be a stuffy space. Grand black or white bookcases are perfect blank canvases for bursting collections of beautiful books and there’s just something about black and white maps, architectural drawings and typography prints that so fit a learning environment. Clean and fresh (more white than black) or luxurious and spa-like (more black than white); whatever the ratio of monochrome you choose, the duo transforms a bathroom into a smart space which has more than just a little to say. 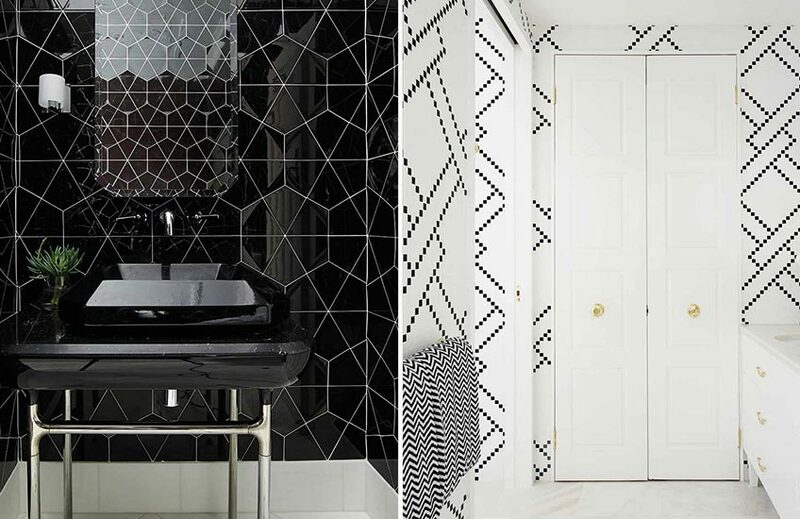 Executing confident tile patterns is so much easier in black and white (there are very few monochrome patterns that don’t work well) and matching fitted cabinetry blends into its surroundings making the space that much bigger. Mixed and matched trios of black and white storage boxes or vases are both useful and perfect the look.